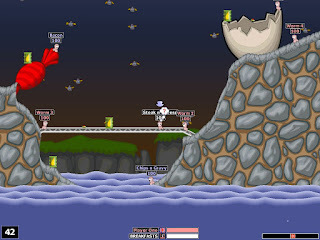 Worms is a popular artillery combat franchise that pits teams of player-controlled Worms against one another, using all sorts of weaponry for various purposes. Bazookas and grenades to attack, mines to set traps, blowtorches and drills to tunnel through terrain, and airstrikes, concrete donkeys and Armageddons to just wreak total havoc on everything, and that's only a few elements of what Worms has to offer. 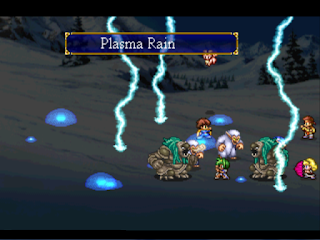 World Party is only a marginal improvement over the franchise's previous entry (Armageddon), but the fact that people still play it online to this day speaks to its longevity, and the fact that it retains the franchise's traditional gameplay, allowing large-scale battles between numerous players online or locally. A good old time for all. The original Donkey Kong Country was a smash hit on the SNES for its stylish computer-generated visuals, fantastic soundtrack (good enough to get released on CD!) and simple yet addicting platformer action that rivaled the likes of Mario. Well, like any good sequel, Donkey Kong Country 2 has a lot more to offer - more varied stages, new enemy types, bigger boss battles, and plenty of challenge throughout. There was even a bit of a twist a la Super Mario World in the form of an entire new hidden world if you were good enough to collect enough of the hidden coins. 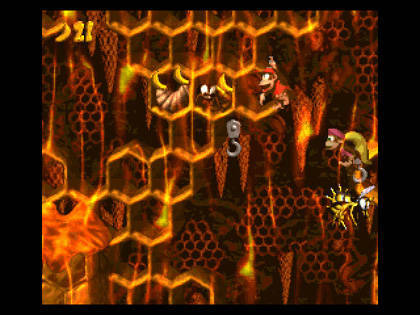 And of course, you didn't truly master the game until you collected the DK coins hidden in each stage. And beat it on hard mode! I never could afford a Sega CD as a kid, so the groundbreaking Lunar games went completely over my head at the time. Thankfully they got two very high-quality remakes on the Playstation, and when I played them I wasn't disappointed in the slightest. Lunar 2, while I consider it the weaker of the two games, is still an extremely compelling experience, combining the feel of a good animated movie with some solid RPG mechanics and surprisingly good animation and voice acting for its era, not to mention a very strong love story as the focus of its plot. Oh, and an absolutely stellar soundtrack, of course. I may not have had exposure to its original iteration until many years after the fact, but Lunar still stands as proof that the CD format could do a lot for the genre that the old memory-limited cartridges simply could not. I'm generally not a big fan of racing games, but I do enjoy the occasional arcade racer. For many years I considered Mario Kart the king of that particular genre, but then I played All Stars Racing Transformed and I was simply blown away by its quality. 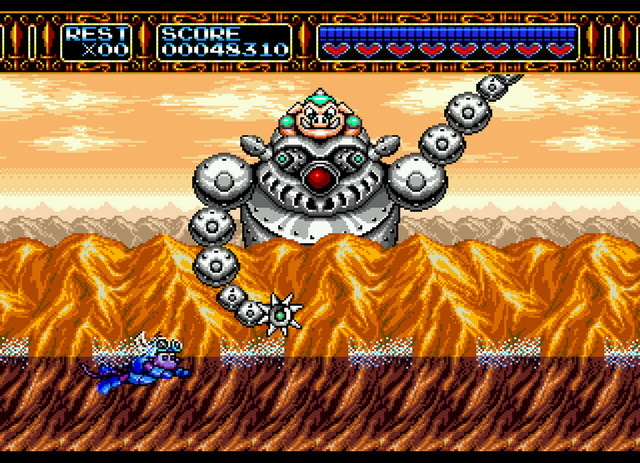 Not only is this game gorgeous, smooth-controlling and blazingly fast, but it also brings a unique innovation with the titular transformations. Throughout the race, your vehicle shifts between three forms - car, plane and hovercraft - and the tracks dynamically shift before your eyes to accomodate the new racing style with things like collapsing bridges and portions where the track simply falls away and you have to navigate through asteroid fields or swoop under bridges. 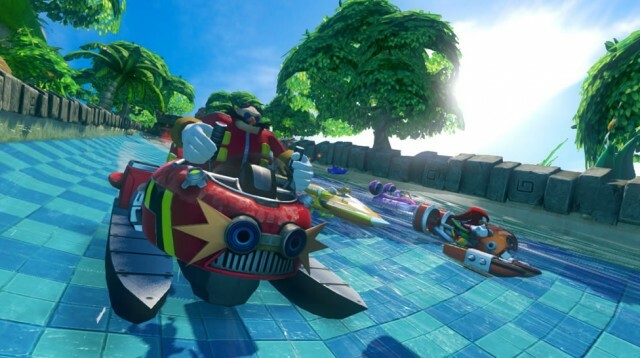 Or my personal favorite, a stage where you race off the edge of After Burner's aircraft carrier, land in the water as a hovercraft, then switch to a plane to fly back onto it and begin the next lap. It's incredibly fun to watch and completely seamless to play. The game is also available on just about every platform that was on the market in 2012, so you really have no excuse not to check it out. And you should, because it's one of the all-time greats. Metroid enjoyed a bit of a renaissance in the early 2000s thanks to Retro Studios' runaway hit Metroid Prime and a couple of top-notch releases on the Game Boy Advance. The more controversial of the two was Metroid Fusion, which took on a much more dialog-heavy approach than its predecessors and also deigned to have - gasp! - linear game progression! That didn't make it a bad game, though - far from it, in fact. 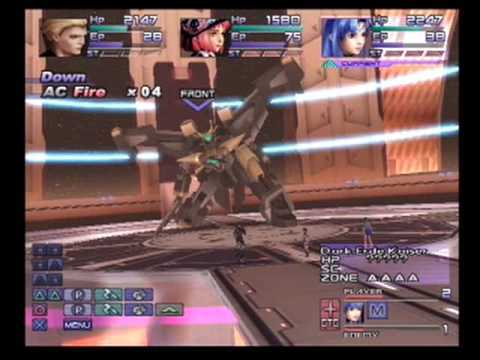 Metroid Fusion effectively captured the isolation of the earlier games, putting Samus alone against a space station full of creatures mutated by an aggressive alien virus and even an evil doppelganger that infected the remains of her original suit, resulting in an extremely dangerous new foe. If Metroid and Super Metroid were homages to Alien, this one is an homage to The Thing - a much different experience, but no less good. 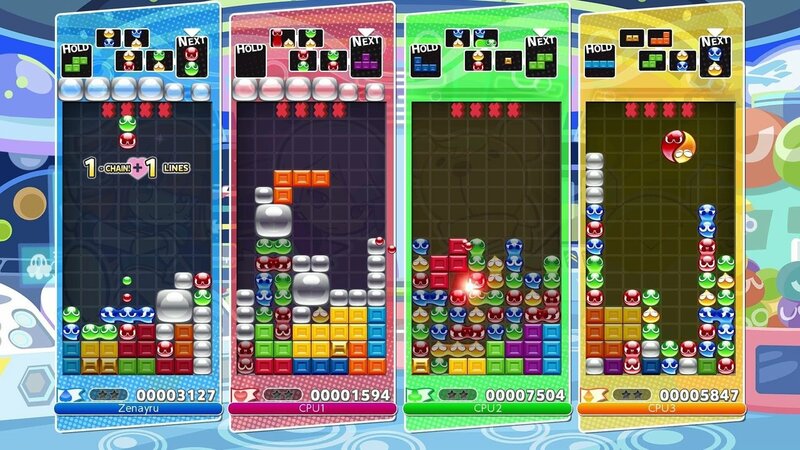 I never imagined that we'd see a good game from Sonic Team of all companies as late as 2017, but I'm certainly not complaining, as Puyo Puyo Tetris is a fantastic title. 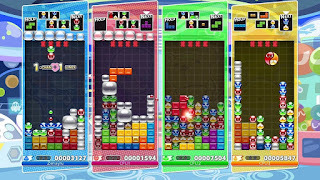 As the title implies, it fits Puyo Puyo (aka Kirby's Avalanche/Mean Bean Machine) and the legendary Tetris together in a variety of ways - one game versus the other, swapping back and forth, or even both pieces in the same play field - in a number of variants, and all supporting up to four players going head-to-head and even online play. Two concepts that will probably never be surpassed in the realm of gaming for their simple, yet elegant gameplay, and they come together in surprisingly fine form here. 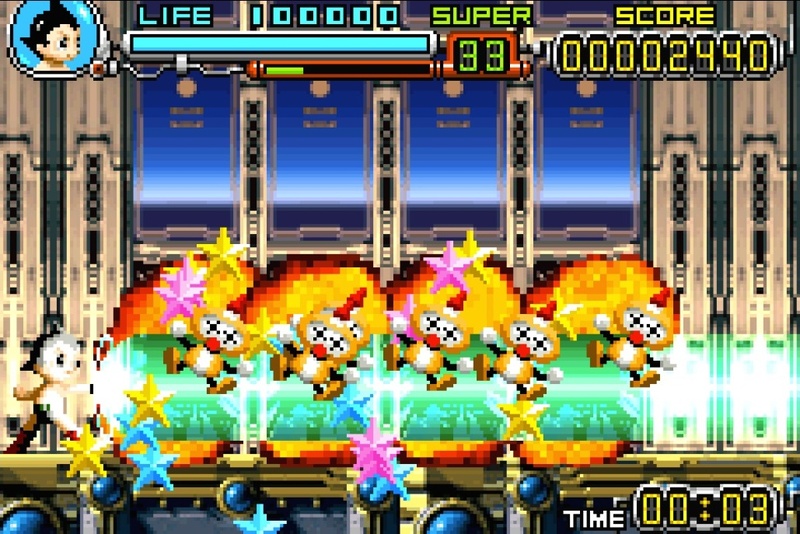 Not only my favorite Game Boy Advance game of all time, but one of the finest from the Sega, Hitmaker and Treasure camps to boot, Astro Boy is a great experience all around. 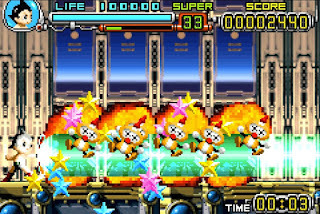 Combining numerous Osamu Tezuka characters into one enormous storyline, as well as several different gameplay styles (beat-em-up and scrolling shooter being the most prominent), Astro Boy is also a very challenging game. But the real genius of it all is in its implementation - by finding characters, Astro Boy's "Omega Factor" develops, unlocking new abilities and upgrades. A pretty clever way to explore the universe of Osamu Tezuka (which you really should anyway; the guy is a legend). One of Nintendo's famous "remake sequels", simultaneously continuing the story of a franchise while remaking and expanding upon one of its older games. In this case, Twilight Princess serves as a more polished reimagining of Ocarina of Time, a game which always belt a bit lacking to me (particularly in its bland overworld design and comparatively generic dungeons and items). 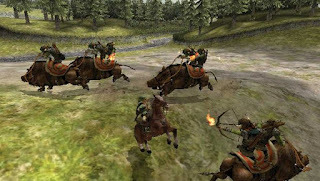 Twilight Princess, on the other hand, feels impeccably well-crafted by comparison - the combat is much more refined and even includes horseback battles, the dungeon designs are absolutely impeccable (with the water dungeon in particular going from one of the worst to one of my favorites) and the story is also surprisingly good, with lavishly-produced animation and expressive characters despite the lack of voiced dialog. It's also just a gorgeous game all around, providing a strangely beautiful and alien aesthetic in spite of its subdued color palette.